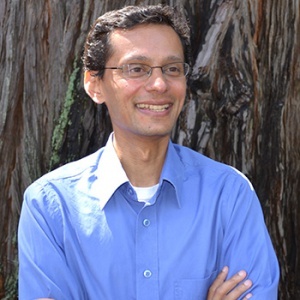 The UC Santa Cruz Genomics Institute has taken on a new managing director, Ravi Jain, to serve alongside scientific director David Haussler and oversee the institute's strategic planning, business development, and operations, among other responsibilities. Jain comes to UC Santa Cruz after serving as president and CEO of cBio, a software development and bioinformatics consulting firm he co-founded. He holds a Ph.D. in molecular evolution from UCLA. "As managing director, Ravi will play a major role in the development and growth of the Genomics Institute," Haussler said. "He will lead us as we take on the many challenges associated with developing the global platform for genomics—as we coordinate, analyze, and make available the volumes of sequencing data and related clinical information generated by genomic projects from around the world." Jain's experience at cBio relates directly to this new role. With its mission of enhancing public health, cBio applied bioinformatics to problems of microbial diagnostics and biosurveillance, including processing, analyzing, and visualizing data from multiple next-generation sequencing platforms. "The Genomics Institute is an important initiative at UC Santa Cruz, building upon our successes in the human genome project and applying them to many important problems, including precision medicine and cancer treatment," said Scott Brandt, vice chancellor of research. "Dr. Jain’s solid scientific and business experience will help elevate UC Santa Cruz’s genomics efforts to the next level." "The UC Santa Cruz Genomics Institute has brought a global set of players together and leveraged its own strengths in the computational arena to help deliver better treatment options to patients," said Jain. "With its legacy of performance in the area of genomics and specifically in medical genomics, the institute is poised to revolutionize cancer treatment." Jain said he looks forward to meeting the community and welcomes interested people to contact him (email ravij@ucsc.edu) and get involved with the genomics institute.